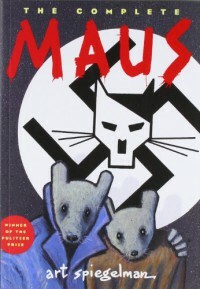 Maus (a Holocaust memoir comic) is such a brilliant book, but it's incredibly draining to read. I had to take breaks just to get away from the bleakness of it.It really is a perfect use of the comic medium, though. The Jews are depicted as (humanoid) mice, the Germans as cats. Without the cartoonishness it would be unbearably graphic. The heavily-accented dialogue from the author's Jewish father Vladek also works well as short, streamlined comic dialogue.A difficult read, but a masterpiece.